Total state spending rose in fiscal 2018, exceeding $2 trillion for the first time. In both fiscal 2018 and fiscal 2017, spending growth was below the 32-year NASBO survey historical average (not adjusted for inflation). All eight regions saw increased spending growth in fiscal 2018, with the largest growth in the Far West and Southeast. 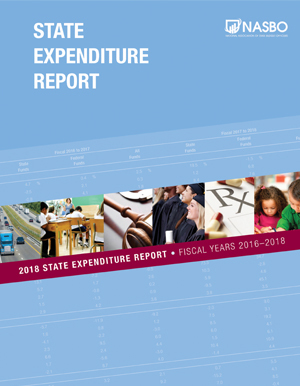 Transportation, Medicaid, and K-12 education all experienced strong spending growth from state funds in fiscal 2018. State tax collections accelerated in fiscal 2018, increasing 6.2 percent compared to 2.5 percent growth in fiscal 2017.